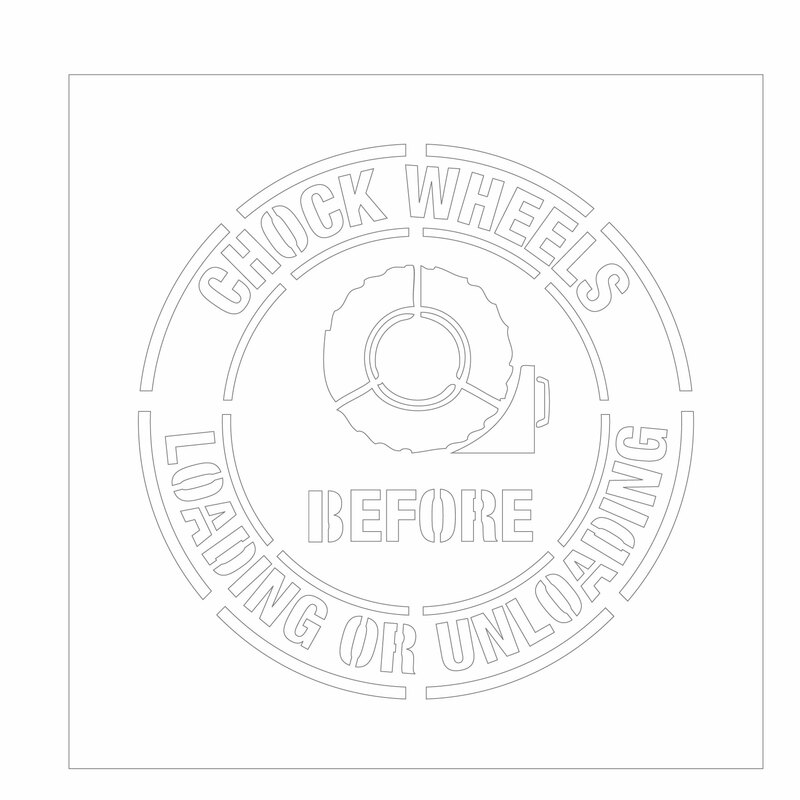 Having a stencil that lets everyone know that they need to chock wheels before loading or unloading can be an important step in keeping everyone safe. You can use this stencil in areas where you load up carts or other items within your facility. Whenever loading up items on wheels it is necessary to secure the wheels so that it doesn’t roll away. This is even more important when working with heavy items because if the cart rolls away it could cause very significant injury. A simple floor marking made by this stencil will let everyone know that they need to chock the wheels before they start doing the other work. This is a very simple solution to a potentially very serious safety problem. Use this stencil to make a clear image on your flooring so that people will know how to keep carts and other items in place while loading and unloading them.